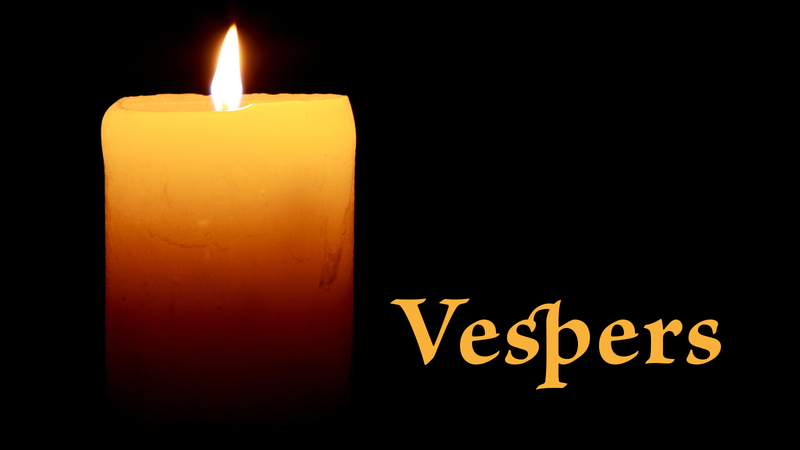 Vespers forms part of the Liturgy of the Hours, the formal pattern of prayer of the Church recited by the clergy and religious orders as well as many of the laity. The Constitution on the Sacred Liturgy “Sacrosantum Concillium” of the Second Vatican Council addressed the reform of the Liturgy of the Hours – Evening Prayer (Vespers) and Morning Prayer (Lauds) became the two hinges on which the daily Office turns. They were designated as the “chief hours of prayer”. Night Prayer (Compline) would mark the close of the day whereas Matins, now renamed the Office of Readings could be celebrated at any part of the day. The Second Vatican Council also encouraged pastors to celebrate some part of the Office, especially Sunday Vespers, within their parishes. Vespers, from the Latin for “evening star” is normally celebrated in the early evening as daylight ends and includes a hymn, two psalms and a canticle from the New Testament, a reading from scripture – normally from one of the Pauline Letters, a proper responsory, the Magnificat with antiphons, a litany of intercessory prayers, the Lord’s Prayer, and a concluding blessing and dismissal. These run on a four week cycle with exceptions for the major feasts and solemnities of the Church.